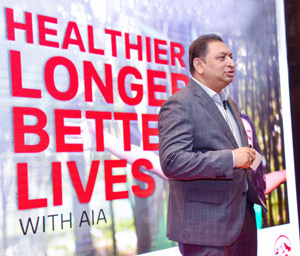 08th August 2018: AIA Insurance, having undertaken extensive research across Asia to understand how, in today’s world, AIA differentiates itself in a relevant and sustainable way, is proud to annouce a new brand promise; helping people live healthier, longer and better lives. Our goal is to help people to make the most of life. It’s not just about living life but about living life well- living life to the fullest.